Chrysal Item: "Chrysal Clear Universal". Fresh flower food for clear vases with Fresh cut Flowers. Nourishes & Hydrates Fresh Flowers. Trending at C $19.37eBay determines this price through a machine-learned model of the product's sale prices within the last 90 days. We will then increase the quantity available. For kid sized hands. One pair for left and right arms. 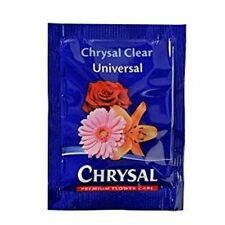 Chrysal Clear Universal ensures that you can enjoy flowers up to 60% longer. Reduces the pH and stimulates water uptake and food consumption. The badge face is 2.5cm wide and has a modern butterfly clasp style fastener to the rear. This pin is in the condition described above and as photographed. EACH LEAF IS LIKE IN PICTURE - 3 LEAFLETS TOTAL IN EACH LEAF. Color: BLACK; Material: STONE; Size: 1.9" H x 6.2" L x 6.2" W; You get 1 Bag. Material: STONE. You get 1 Bag. Color: BLACK. Size: 1.9" H x 6.2" L x 6.2" W.
Trending at C $28.32eBay determines this price through a machine-learned model of the product's sale prices within the last 90 days. Do not use for fresh cut roses. Let the crystals sit and hydrate 10-12 hours. For faster results, use hot water. Drain any excess water. CRYSTALS WILL SLOWLY SHRINK AS THEY WATER FOR YOU! SIMPLY ADD MORE WATER TO REFRESH THEM YOU CAN DO THIS OVER AND OVER AGAIN FOR SEVERAL YEARS. Comes as shown. Packaging has some wear. EACH LEAF IS LIKE IN PICTURE - YOU WILL RECEIVE 30 LEAVES TOTAL. A pretty, flower pin badge featuring the red poppy. The badge face is 3cm wide and has a modern butterfly clasp style fastener to the rear. This pin is in the condition described above and as photographed. 2 Pieces of Flower Thorn Strippers (RED color). Portable Oxygen Concentrator. 2,Nice for removing thorns and leaves form stem of cutting flowers;. 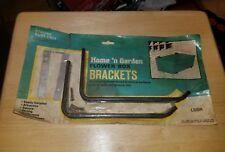 3,Place the tool over the stem and pull down to remove thorns and leaves;. A pretty, wildlife pin badge featuring a cornflower. The badge face is 2.7cm wide and has a modern butterfly clasp style fastener to the rear. This pin is in the condition described above and as photographed. A pretty, wildlife pin badge featuring a snowdrop flower. The badge face is 2.5cm high and has a modern butterfly clasp style fastener to the rear. This pin is in the condition described above and as photographed. EACH GRASS BLADE/LEAF IS LIKE IN PICTURE - YOU WILL RECEIVE 50 GRASS BLADES/LEAVES IN TOTAL. Toggle switch. Two Pieces of Flower Thorn Strippers (RED color). Portable Oxygen Concentrator. pushbutton switch. 6M 7M Poles Water Fed Pole Kit High Rise Windows Cleaning & Washing Tool US. Place the tool over the stem and pull down to remove thorns and leaves. It nourishes and hydrated fresh flowers. I TRY MY VERY BEST TO DESCRIBE MY ITEM AS BEST AS POSSIBLE, THE GOOD QUALITIES AS WELL AS THE FLAWS THEY MAY HAVE. 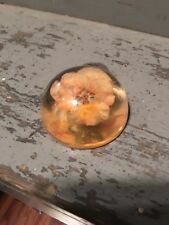 Real Flower Encased In A Clear Abstract Shaped Acrylic lucite block. Color: Multicolor; Material: STONES; Size: 5.7" H x 3.7" L x 3.7" W; You get 1 Bag. Material: STONES. You get 1 Bag. Color: Multicolor. Size: 5.7" H x 3.7" L x 3.7" W.
EACH LEAF IS LIKE IN PICTURE - APPROX 25-100 INDIVIDUAL LEAVES ON EACH STEM, YOU WILL RECEIVE 10 STEMS (LIKE THE ONE IN THE MAIN PICTURE). TULSI CAN HAVE GREEN AND PURPLE TONES IN LEAVES, THIS IS NORMAL. EACH LEAF IS LIKE IN PICTURE - APPROX 20 INDIVIDUAL LEAVES ON EACH STEM, YOU WILL RECEIVE 30 STEMS (LIKE THE ONE IN THE MAIN PICTURE). YOU WILL RECEIVE A MIXTURE OF SIZES IN HEIGHT AND WEIGHT (DEPENDING ON AVAILABILITY). Benefits of Organics Peepal leaves the soft leaves of Peepal for skin care. Apply Peepal leaf extracts or its milk on cracked hands and heels to get best results. For Puja / Pooja. Banyan Tree Leaf. Taking of this leaf is equally effective. EACH LEAF IS LIKE IN PICTURE. A pretty, wildlife pin badge featuring a narcissus flower. The badge face is 2.5cm high and has a modern butterfly clasp style fastener to the rear. This pin is in the condition described above and as photographed. 2 Pieces of Flower Thorn Strippers (RED color). 2,Nice for removing thorns and leaves form stem of cutting flowers;. 3,Place the tool over the stem and pull down to remove thorns and leaves;. Color: Assorted Colors; Material: STONES; Size: 4.7" H x 3.5" L x 3.5" W; You get 1 Bag. Material: STONES. You get 1 Bag. Size: 4.7" H x 3.5" L x 3.5" W.
A pretty, wildlife pin badge featuring a Wild Ox Eye Daisy. The badge face is 2.5cm wide and has a modern butterfly clasp style fastener to the rear. This pin is in the condition described above and as photographed. Color: Multicolor; Material: STONE; Size: 2.3" H x 5.9" L x 5.9" W; You get 1 Bag. Material: STONE. You get 1 Bag. Color: Multicolor. Size: 2.3" H x 5.9" L x 5.9" W.
Color: GREEN Tinge; Material: STONES; Size: 7.0" H x 3.9" L x 2.7" W; You get 1 Bag. Color: GREEN Tinge. Material: STONES. You get 1 Bag. Size: 7.0" H x 3.9" L x 2.7" W.
Green Glazed Ceramic Pot Planter FTD No drain holes NEW in original box! 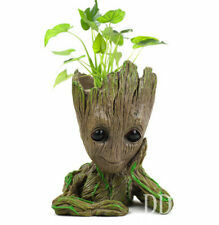 FTD Green Glazed Ceramic Pot Planter 3 in one. No drain holes. NEW in original box. Aprox 12" x 5". A pretty, wildlife pin badge featuring a digitalis. The badge face is 2.5cm high and has a modern butterfly clasp style fastener to the rear. This pin is in the condition described above and as photographed. A pretty, flower pin badge featuring a sunflower. The badge face is 2cm high and has a modern butterfly clasp style fastener to the rear. This pin is in the condition described above and as photographed. A pretty, wildlife pin badge featuring a Sunflower. The badge face is 2.5cm wide and has a modern butterfly clasp style fastener to the rear. This pin is in the condition described above and as photographed.